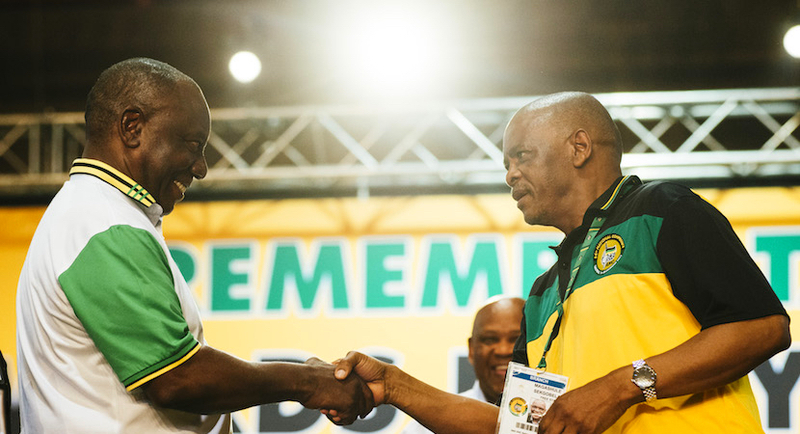 (Bloomberg) – South Africa’s African National Congress secretary general denied that a meeting he held with former President Jacob Zuma was about a plot to remove his successor, Cyril Ramaphosa. Ace Magashule admitted that he had met Zuma and other officials in Durban as reported by the Johannesburg-based Sunday Times newspaper but said the talks were about party “organisational issues.” Magashule also held talks with other party officials and members including Supra Mahumapelo, who was ousted as the premier of the North West province. The @SundayTimesZA story today alleging " a plot to oust our President @CyrilRamaphosa " deserves urgent attention by @MYANC NEC . The alleged clandestine plot , which regrettably includes the SG , comrade Ace Magashule , undermines the unity and renewal efforts of the ANC . The Sunday Times reported that Zuma, Magashule and other top officials held a secret meeting where they discussed ways to remove Ramaphosa as both the party and country’s president. Zuma was forced to resign as president in February after unsuccessfully backing Nkosazana Dlamini-Zuma to succeed him as head of the party in December. Mahumapelo and Magashule had also supported Dlamini-Zuma. There are still people in the ANC who want to challenge the outcome of the party’s elective conference, including going to court, Magashule said.